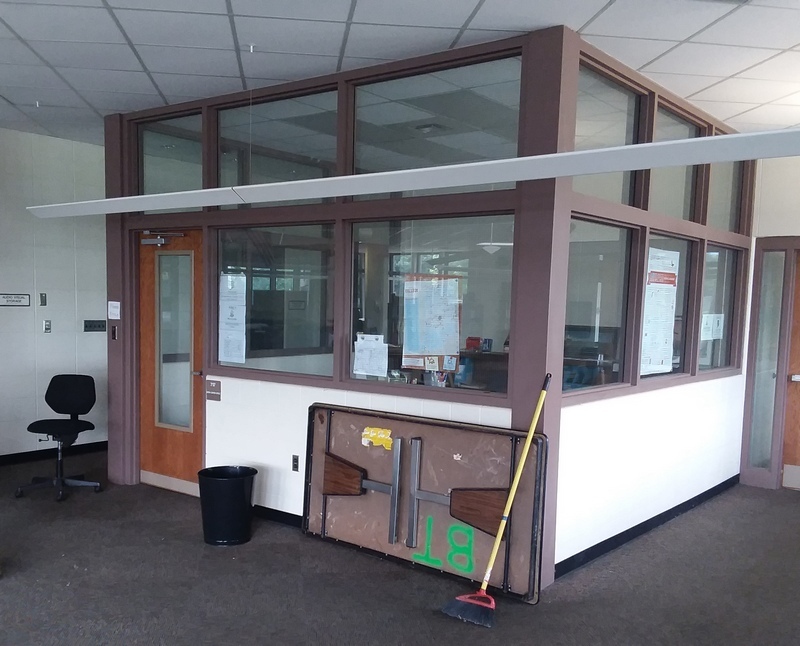 During the construction of the new vestibule entrance at the Culver Community Middle High School, we were asked to duplicate the existing office in the former Media Room for a new Principal’s Office. This was a change order to the original project, but the goal was to keep it on a similar time line. The old office, shown to the right, was constructed using a block lower wall with hollow metal window frames in the upper area. The wire glass windows in the existing office are mostly obsolete technology at this time. Appropriate for the long term and reasonable to do during new construction in 1991, this proved to be an expensive add-on with long lead times and multiple trades involved. We worked with the School to provide a better solution. 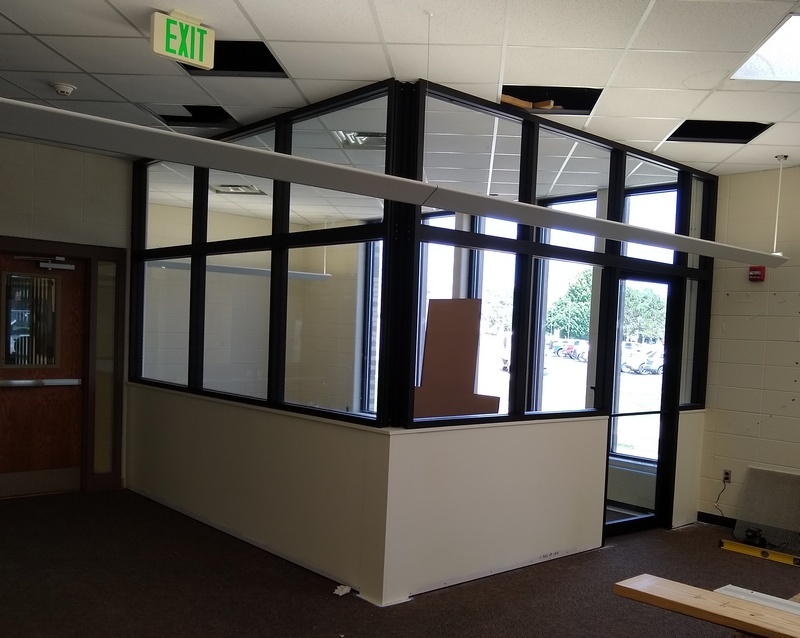 The new Principal’s Office, shown to the left, has been constructed with a wood stud and drywall lower wall, dark bronze store front aluminum framing and an aluminum & glass door. It mimics the layout of the old office, but gives a more modern look. As a bonus, it was something that could be constructed quicker and at a savings of thousands of dollars. The office as pictured is nearly complete, lacking only the installation of a few of the window panes to wrap it up. We were pleased we could help with this solution.